Alternative-finance industry executives tend to agree on at least two basic rules for building a successful sales team: Hire people who know how to sell and never stop training them. Following the second rule requires knowledge and perseverance. The first one takes a leap of faith. To obey Rule No. 1, companies have to find ways of determining who possesses that elusive quality known as salesmanship, even among inexperienced job candidates. To that end, most firms make an educated guess based on experience, intuition, common sense, high hopes and the good graces of Lady Luck. “We want someone who’s hungry for money and is going to be a go-getter, says Chad Otar, CEO and executive funding manager at Excel Capital Management Inc. “It’s a feeling that you get when you talk to them. You can tell when a person is going to sit back and not do anything.” In addition, good candidates aren’t intimidated by the challenge of learning how the industry works, he notes. “It’s really about how you connect with someone,” according to Amanda Kingsley, who owns Options Capital and also works as a sales training consultant. “Even over the phone, you need to treat people with understanding. You need to inspire the trust that you could provide the advisory help they need.” Small details, like remembering a potential client’s daughter just got married, mean a lot, she says. “I look for strong personalities,” says Isaac Stern, CEO of Yellowstone Capital. “I don’t believe you can necessarily teach someone to sell,” he asserts. “This isn’t an easy sell, so you have to have a Type A personality. They’re on the phone and they’re confident whether they know the product or not in the beginning.” The interview process can “weed out” candidates who aren’t going to find success, he says. Don’t expect someone with a background in outside sales to find happiness spending eight hours a day on the phone as an inside salesperson, warns Stephen Halasnik, managing partner at Financing Solutions. As a direct financing company, his firm hires salespeople different from those an ISO or broker employs, he says. His company expects salespeople to act as consultants who are knowledgeable about finance and empathetic to small-business owners. “Different offices have different cultures, so someone who has worked well in one office might not work well in another,” Celifarco says. People hired from other companies may bring bad habits, he says. They may approach the job in a variety of ways they’ve learned elsewhere and thus prevent the company from presenting a consistent face to the public, he says. “Every company has an identity,” he contends. Applicants without a sales background sometimes rise to the occasion and succeed, says Ramirez. In fact, one of his top sales managers joined the company with no sales experience. Former entrepreneurs, even those without a sales background, often have a lot in common with other small-business owners and that helps them do well, he notes. related, such as stocks or mortgages, he says. While good hiring practices bring good employees into the company, they also guard against inviting bad ones into the fold. 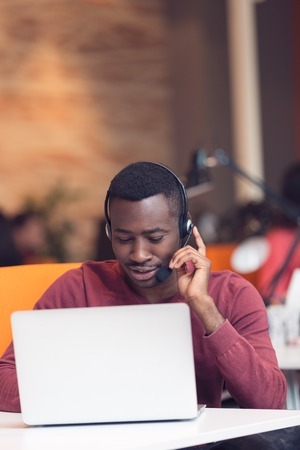 World Business Lenders uses several third-party companies to perform background checks and pre-employment screening, but most often calls upon ADP, says Alex Gemici, the company’s chief revenue officer. ADP performs evaluations that comply with the laws of the states where the employees are located, he says. “It’s very difficult to find loyal guys,” Otar laments. “They come in and utilize all your systems and then you catch them stealing.” In other words, they pass deals along to other companies. Otar has caught three of his closers doing exactly that. “You’ve got to be very careful,” he warns, adding that it’s difficult to spot bad actors because they’re skilled at selling themselves. Once a company chooses the best candidates, the training can begin. 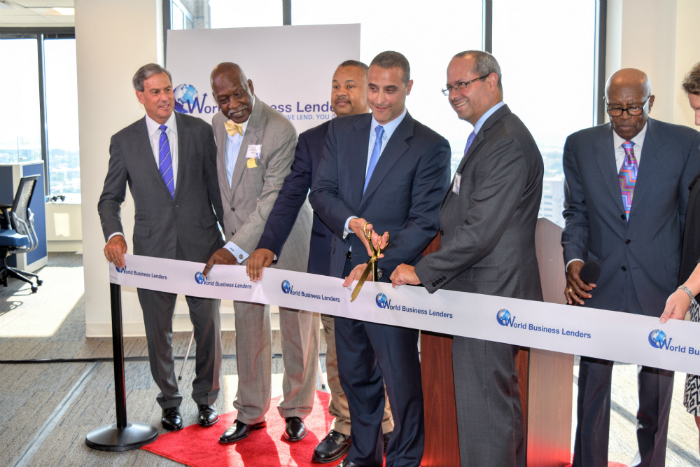 New salespeople always start on Mondays at World Business Lenders, and the company’s corporate headquarters conducts sales training nationwide that day, says Gemici. The full day of instruction originates at headquarters, and new hires at branch locations participate on Skype. Subjects include the industry in general, specific company products and sales tips. On Tuesdays, the World Business Lenders branches take over the training for a day or more, Gemici notes. That instruction, which lasts as long as the branches decide, can include having the new employees “shadow” more-experienced workers and having crack salespeople listen in on the phone calls of the new staffers as they make their pitches. 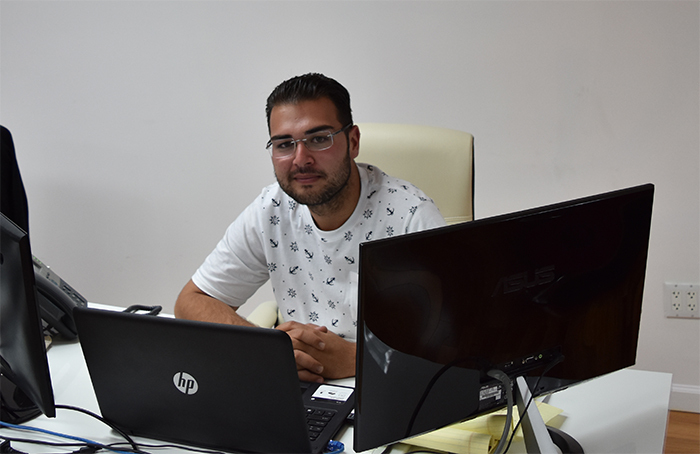 In the World Business Lenders office in California, Ramirez continues the training every day of a new employee’s first two weeks on the job. Tuesday and Wednesday of the first week, he spends the full eight-hour day with them. After that, he sets aside at least two or three hours of instruction each day. “I want to err on the side of over-training,” he explains. From there, education continues as long as employees work for the company, Ramirez says. That can include spot training that he institutes anytime he sees a problem or an opportunity for improvement. Ongoing training also helps salespeople keep up with changes that occur in the industry, he notes. The sales staff in the California office of World Business Lenders also assembles in a conference room for regular sales meetings. Ramirez picks a rep who’s outstanding at some aspect of the job to deliver a short lecture on the subject at those meetings. A star at prospecting, for example, could explain tricks of that part of the trade and then field questions on the subject. “That way, everybody can learn what everybody else knows,” he says. For ongoing training at Financing Solutions, Halasnik calls his staff into a “huddle” for 10 minutes every day. They review what deals are pending so that salespeople know what management is seeking and can use that knowledge when they’re gathering data from customers. “We’re looking for reasons to give someone financing that doesn’t fit the cookie cutter approach a bank would use,” he notes. The team also use the huddle to share information about the industry. 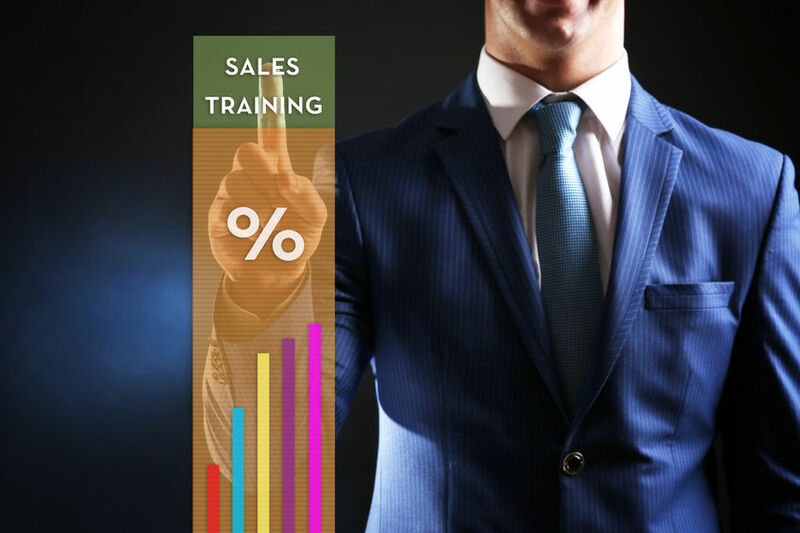 At Sure Funding Solutions the sales staff meets every couple of weeks for ongoing training. They talk about some aspect of the sales process, such as opening, closing, dealing with banks, what’s working and what’s not working, says Celifarco. “I’ve been in this business since ’08, and I’m still learning new things,” he notes, adding that changing one phrase in a pitch could get better results. Ongoing training at Excel hinges on monitoring phone calls to ensure openers are asking the appropriate questions to qualify leads and that closers are working effectively, Otar emphasizes. “It’s a never-ending process to learn what to say at the right time,” he says of his company’s training policies. Salespeople who have mastered the basics can bring their own personalities into their presentations to avoid sounding as though they’re reading from a script and thus foster an organic conversation, he notes. “That’s perfect – it’s golden,” he exclaims. Kingsley agrees. “Don’t be too ‘salesy,’” she counsels. “That’s the best sales advice I can give.” Nobody enjoys receiving a telemarketing call, she reminds her trainees. Larger companies probably won’t heed that tip because they’re focused on volume, but smaller companies can avoid the “salesy” trap, she says. Training should also teach originators to avoid industry jargon on their calls because prospects simply may not know the lingo, Kingsley cautions. Closers should learn from their training that knowledge of the customer’s industry can help build a relationship, she says. And knowing the customer’s industry also helps salespeople convey a deeper understanding of creditworthiness to underwriters, she maintains. Financing Solutions trains salespeople to reveal information to clients through a string of questions instead of merely throwing out statements about the company’s products, Halasnik says. The questions can include how the customer’s business works and how he’ll use the money. That can allow the client to sell himself, and it can help the salesperson explain the client’s situation to the underwriters, he says. Salespeople should learn to present themselves as professionals and avoid sounding like used car dealers, Halasnik maintains. “They have to understand business,” he notes, adding that training must convey that sensibility because “they don’t really come in that way.” In fact, he maintains that financing Solutions has to persevere in continuing to help the sales staff understand how small-business owners think. Even though training never ends, it eventually pays off, Halasnik contends. He looks forward to the time – possibly in six months or so – when the roles reverse because his salespeople are picking up so much information that they’re training him. The fact that sales reps are making contact with customers keeps them in touch with the pulse of the industry, he notes. But problems can arise even with the most persistent training efforts, so it’s also vital to begin the process with employees who are trainable, Kingsley suggests. “Some people listen to you, but then they don’t act on the advice,” she maintains. Others don’t want to expend the effort necessary to research their customers’ industries. 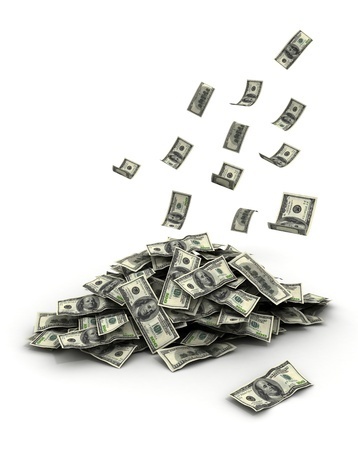 “If you’re going to make $10,000 off of a sale, put in the work for it,” she admonishes. Some companies are hiring lots of salespeople and putting them to work quickly as part an effort to achieve sheer volume, Kingsley says. Instead, she recommends training a smaller number of reps to conduct themselves in a transparent manner that promotes repeat business. World Business Lenders allows for a 90-day period to determine whether a new salesperson and the company are a good fit, says Gemici. Turnover occurs during that period, often because the company is growing so quickly that it’s necessary to take on a few inexperienced employees, he says. For salespeople who complete the 90 days, the success rate is high, he notes. “We like to say six weeks,” Otar says of his company’s probationary period. By then, a closer should be making four to seven deals a week, he suggests, noting that openers should generate 15 to 25 leads weekly and five to seven should be getting funded. Salespeople can require four months to really catch onto their jobs, according to Halasnik. He finds that he can gauge their progress by the quality of the questions they ask, not by what they say. As they learn the business, their questions improve, he notes.